More than 2,100 pregnant Colombians are infected with the mosquito-borne Zika virus, an illness linked to a devastating birth defect, the country's national health institute said on Saturday, as the disease continues its spread across the Americas. The virus has been linked to the devastating birth defect microcephaly, which prevents fetus' brains from developing properly. There is no vaccine or treatment. There are 20,297 confirmed cases of the virus in Colombia, the national health institute said in a epidemiology bulletin, with 2,116 pregnant women among them. 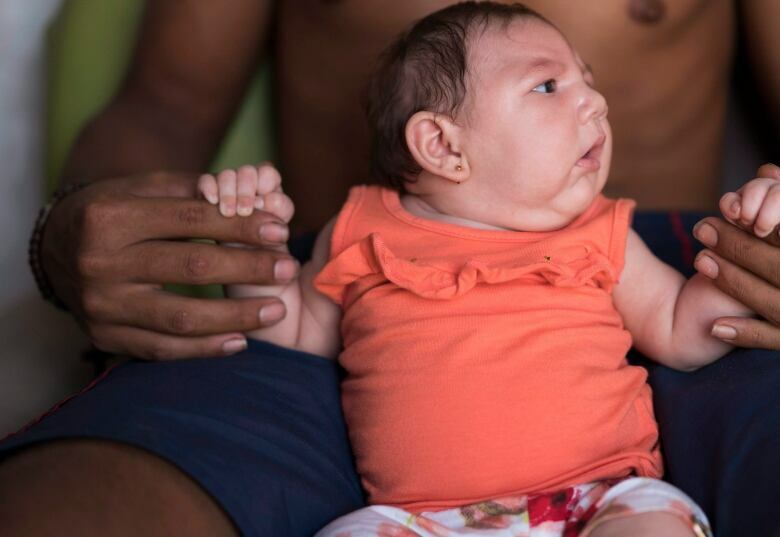 There are so far no reported cases of microcephaly or deaths from the virus in Colombia. The institute said 37.2 per cent of pregnant women with Zika live in Norte de Santander province, along the eastern border with Venezuela. Earlier figures from the health ministry showed 560 pregnant women had the virus, out of more than 13,500 infections. Nearly half of Colombia's Zika cases have been reported in the country's Caribbean region, the bulletin said. More than 60 per cent of those infected are women. "​It will be impossible to eradicate unless huge progress is made in sanitation, education and infrastructure development." — a comment from Canada Brazil on the CBC Forum chat on the Zika virus. Read the full discussion here. Brazil is the country hit hardest by the disease. It has reported around 3,700 cases of microcephaly strongly suspected to be related to Zika. The World Health Organization has said as many as four million people in the Americas may become infected.